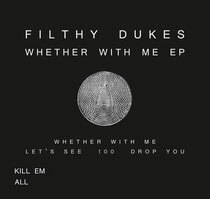 The Filthy Dukes return with an EP showcasing a new deeper, dancefloor sound for their Kill Em All label. Most people are aware of the story of London’s Kill Em All club night, an event that moved from the back streets of Islington, via Camden’s Barfly to Fabric and became a Mecca for genre bending music fans and a home to young bands such as Bloc Party, Friendly Fires and Simian Mobile Disco who rubbed shoulders with guest DJs likes Erol Alkan, James Murphy, Justice and Chemical Brothers. The duo behind the night, Olly Dixon and Tim Lawton AKA Filthy Dukes became big news, signed to a major label, released a critically acclaimed album and toured the world. But whilst the club night still held strong, collectively run by the Dukes and Daniel Avery, Dixon and Lawton fell out of love with the major label industry and so did what comes naturally to music loving producers, returning to their underground roots. 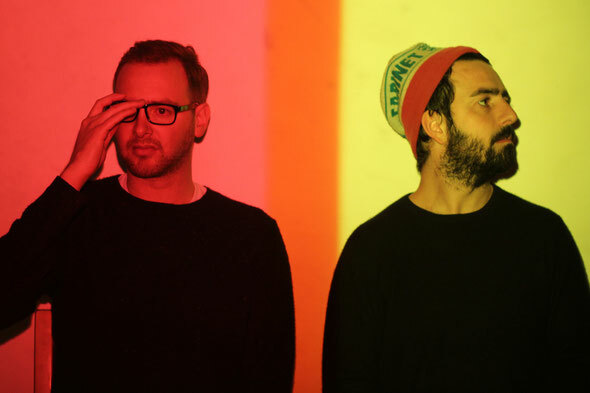 The first product of this is their ‘Whether With Me EP’ a collection of tracks that revel in the pair’s love of house and techno and showcases their production skills. The EP kicks off with title track ‘Whether With Me’, a dark edged, tech fuelled house number that draws on bubbling bass, argeppiated synths and rolling drums to deliver an atmospheric and brooding cut. Following this is ‘Let’s See’, a deep journey into electro influenced house that fuses old school drum machines and subtle melodic elements to create an instant winner. Penultimate track ‘100’ sees the duo step into downtempo territory with a hypnotic, nu-disco tinged workout with a retro ‘80s feel. Finally, ‘Drop You’ is a bleepy slo-mo house affair that is a good closer for the EP. Out 6th May.